Currently riding high in the charts with cinematic single ‘Pompeii’, this four-piece from South London are hoping to repeat the trick with debut album, Bad Blood. We invited founding member Dan Smith to tell us about his hopes for the record, the artists that have influenced him and what inspired his sideline in mixtape-making. Hi Dan, where are you today? So can you tell us about your musical background, please? I’ve been writing songs for years, but for a long time it was always something I just did in private for myself. Most of my friends didn’t even know I played music until a few years ago. I’ve always really liked writing songs and recording so I’ve always just got on with that really, and now I’m lucky enough to do it loads. I played gigs for a couple of years by myself before deciding to start Bastille with Woody, Will and Kyle at the end of 2010. 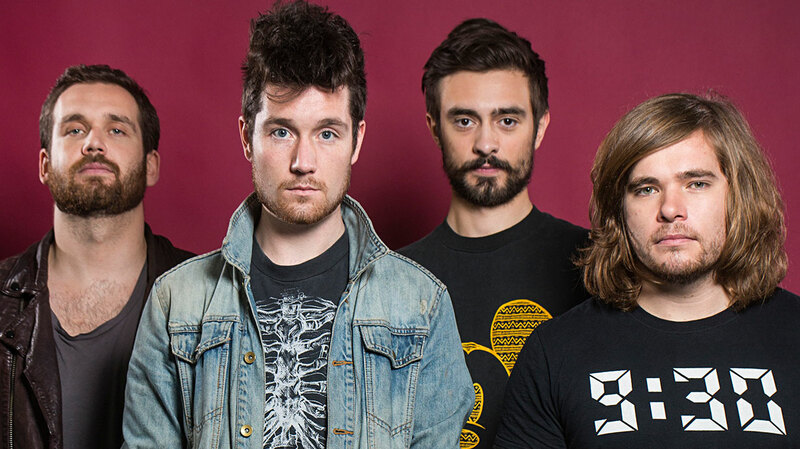 Is Bastille still very much your baby or is it a fully-fledged band now? I still write and initially record the songs by myself, but I very much see Bastille as a band. We started out from scratch a couple of years ago, and the four of us have built the band from playing empty pubs to the kinds of places we’re lucky enough to play in these days. The guys played on the album as well, and I feel like it’s massively informed by what we’ve been doing live. How are you feeling about the imminent release of the album? I’m just looking forward to the album being out: it’s been brewing for a while now so it’ll be good to think about writing new songs and moving onto the next thing, if we’re lucky enough to be able to. It would be nice to be well received critically but I don’t really expect to be. How long was the record in the making? We recorded the album throughout last year, but I’ve been working on those songs for the last few years. Some songs are as much as three years old and others are pretty new. I’ve loved piecing it together. I’ve always just got on with writing and recording in my free time, and the making of the album has felt a bit like that to be honest. I co-produced it with my friend and it was a lot of fun to make. It’s a very diverse album. What was the goal sonically for the record? I wanted to try out slightly different things from song to song. Sonically, I was hoping to not repeat myself too much. I’m glad you think it sounds diverse, because I do, but I’m never sure how things come across to other people. Can you tell us about four things that have inspired the album please? Antony & The Johnsons. I think he has such a brilliant voice and his songwriting is so engaging. His songs are unconventional and accessible, and there’s no one else like him. I write mostly on piano as well, so it’s always good to hear someone working that way. Simon & Garfunkel. My parents played me and my sister Bridge Over Troubled Water loads when we were kids and I always loved their harmonies. I also love how it almost feels like a greatest hits album, and how (within their sound) the album sounds quite diverse. David Lynch. I love the atmospheres he creates and I think his influence on popular culture has been huge. Damon Albarn. I massively look up to the diversity of his career. To be in a band as massive as Blur and then go on to The Good, The Bad and The Queen and Gorillaz... I really admire people who can hop from genre to genre like that. How would you describe your sound to someone who’d never heard you before? I’m absolutely terrible at trying to describe what we sound like! I generally just end up listing different sounds from the album, which isn’t very helpful. It’s not because I think we’re doing anything particularly pioneering, but more because I didn’t set out to make music of a particular genre. I’m also so involved in it all that I’m probably not the best person to stand back and be objective about it. Lyrically, where did you find inspiration? I get inspiration from all over the place. Often lyrics just seem to pop into my head, but I generally try to write little stories or scenes. I’m sure they’re informed by things that have happened to me or people that I know, as well as films and books and famous stories. And what’s the significance of the album title? 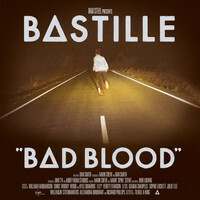 “Bad Blood” just felt like it summed up a lot of what the album is about to me. It probably sounds a bit dramatic but I don’t really care. Probably ‘Bad Blood’. When I wrote it, all the guys in the band instantly really liked it, and it’s always been loads of fun to play live. It came together quite quickly and came at a time when I hadn’t written a song in a while, so in some respects it was a bit of a relief. Can you tell us a bit about your mix tapes please? Why did you decide to fuse movies and music? We just made them for fun. Using other peoples’ songs was a nice excuse to experiment with production, and we were just being geeky in bringing in film music and film references that we like. It’s interesting how easily loads of pop songs can be fused. I absolutely loved making the mix tapes, and to be honest we did them mainly for ourselves because we wanted to keep releasing material and have an opportunity to mess around. It would be great to put another one out this year if we have time. Given your love of film, would scoring films be something you’d like to do in the future? I’d absolutely love to score a film. I have no idea if I’d be up to the job though. I’d love to work with Darren Aronofky, because I think he’s a brilliant director. I loved ‘Pi’ and ‘Requiem for a Dream’ when I was younger and it’s been amazing to see his career develop. What’s the plan for the rest of 2013? Well, we’ve got this album coming out, and hopefully a couple more singles if we get that far. And then touring around the UK and visiting countries we haven’t been to before. What can punters expect from the live show? Hopefully our show is quite fun to watch and be at. Also, expect lots of me jumping around, trying to distract myself from the fact that I’m on stage. Reading Festival last year was really fun. We weren’t sure if anyone was going to come and see us, so when they did we were very pleasantly surprised. Also, getting to record some strings at Abbey Road was amazing and not something I ever thought would happen in my life.